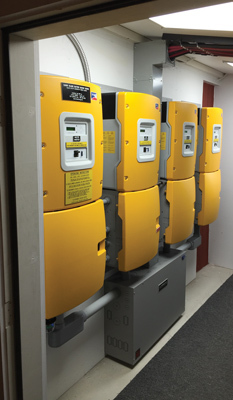 The mid-term growth of the U.S. residential solar-plus-storage market will be nothing short of phenomenal, as the seamless melding of generation, storage and energy management emerges in single, overarching systems. Yes, we might finally be headed there — the 1950s vision of the all-electric GE kitchen of the future, but driven by a touchscreen-controlled solar+storage system. The aggregator, whether a utility company or a third party, will be able to use the distributed resource to stabilize and optimize the grid. The system owner will of course be compensated. “Ultimately, using the network approach to energy, optimized with a communication and control backbone, is what will allow higher and higher levels of renewable energy to support the grid,” Kennedy continues. According to market research firm IHS, the energy storage market is set to explode to an annual installation size of 6 GW in 2017 and to over 40 GW by 2022 — from an initial base of only 0.34 GW installed in 2012 and 2013. A handful of leading storage companies have already developed such solutions, but the current market may yet seem like a hodgepodge of confusing options for consumers. “We’ve seen significant growth in the past few years related to energy storage. 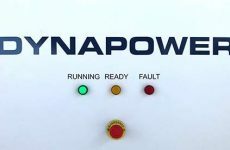 We expect the market to continue to grow over the next year, at a steady pace, and reach an inflection point somewhere between 2018 and 2022,” says Catherine Von Burg, CEO of SimpliPhi Power. The smooth integration of solar panels, inverter, battery and software will elevate the current standard of residential solar-plus-storage solutions and inspire rapid market expansion. 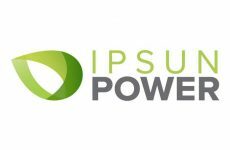 “The solar-plus-storage market has been poised for significant growth, and from our vantage point, working on the solar and the storage side, we’re seeing the convergence of the technology, the pricing and the market drivers all materializing now,” says Chip Means, the director of sales development at Pika Energy. The remaining limiting factor, Means suggests, has been finding the correct technology architecture for making solar-plus-storage simpler to install and with a more efficient yield for the customer’s maximized ROI over the lifetime of the system. 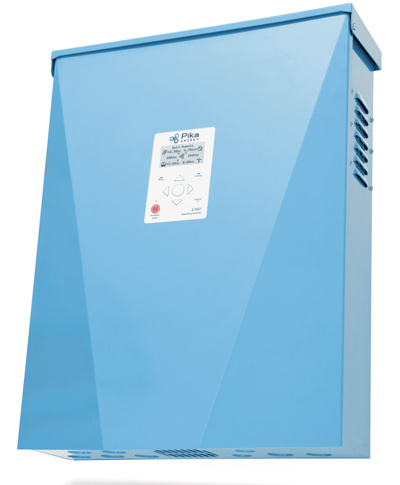 For Means, the future is a single inverter solution with a DC bus that the batteries and PV share. 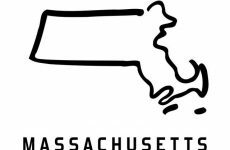 “That’s exactly why Pika made the Energy Island system — that’s the concept behind our approach, and that’s been helping to accelerate the market both on the installer and consumer sides. It’s all accelerating now,” he says. One formidable task when incorporating storage is finding solutions that are agnostic as far as battery chemistry is concerned. One such solution is Pika’s new B Link, unveiled at Intersolar NA in 2016. “Until now, broad adoption of solar-plus-storage has awaited mature battery solutions with the right mix of features, form factor and pricing. With B Link, virtually any conventional battery technology ranging from lead acid to lithium ion can be used to make a highly efficient, compact smart battery ideal for load shifting, demand response and backup power applications,” says Pika Energy president Ben Polito. Tesla’s new PowerWall 2.0 has nominally doubled the energy density of the prior version, with 7 kW of power capacity and 14 kWh of energy storage; the inverter is supplied by three companies thus far: SolarEdge, Fronius and SMA. However, now that the SolarCity acquisition is complete, Tesla may build its own inverter for the residential market. this solar-plus-storage estate in New York, powered by SimpliPhi Power and Lotus Energy, exceeded production estimates by as much as 23 percent. The potential is there to change how homeowners think about and interact with their energy usage. 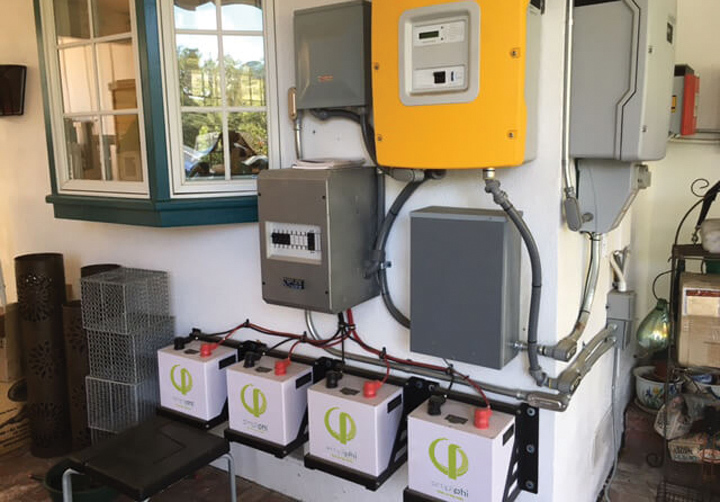 The Energizr 200 from JLM Energy is one such example — a holistic solution that works in harmony with solar power and the conventional grid to meet a predetermined budget set by the homeowner. JLM’s patent-pending Symmetric DC Regulation technology permits energy flowing from solar panels to charge batteries directly or directs it to bypass the batteries for immediate home use, eliminating unnecessary cycling and enhancing battery life. The system is managed by the company’s cloud-based software platform, Measurz, which automatically determines when energy should be used or stored and acts behind the scenes to meet a monthly budget set by the homeowner. The software analyzes user habits to come up with efficiency recommendations. The Measurz mobile app enables remote control of appliances including HVAC systems and pool pumps that often cost the most to run. Energizr 200 tracks real-time energy consumption to create efficiencies that can be monitored from home or remotely, which can lead to more informed energy use decisions and cost savings. Apart from ease of use, lower cost inevitably drives adoption. In the past two years, SimpliPhi has reduced the costs of its products by 30 percent, and this will only continue as economies of scale and production ramp up. Some companies have achieved even deeper cost cuts. Between 2011 and 2016, sonnen reduced its prices by 80 percent, and expects prices to decrease in the future. “New financial incentives will also continue to help make storage even more affordable, while we expect to see the global production of batteries and storage systems, in particular, increase,” says Jannik Schall, the U.S. director for sonnen. The U.S. adoption of electric vehicles has been slow, but long term, urban planners expect the EV to become the dominant form of transportation, and thus a cornerstone of the residential solar-plus-storage system. “Integrating EV as a DC load or storage asset is a huge opportunity when you have a bidirectional DC bus. The car becomes an energy asset when it’s part of the nanogrid,” Means says. The EV will not only be an important asset in the garage, but also away from home. “The fact that electric vehicles have the potential to become a two-way mobile power source and aid in a catastrophic event or provide backup power anywhere the car is opens up a world of new possibilities for storage and utilizing clean renewable power on the go,” Von Burg says. In short, residential solar-plus-storage presents opportunities for energy efficiency and control like nothing that has come before. “We expect smart storage to be the heart of a digitalized, energy efficient smart home while also providing the connection to the outside world: the grid,” Schall says. This feature appeared in our January/February Innovations Issue. Be sure you have your FREE subscription. Charles W. Thurston is a freelance writer who covers solar energy from Northern California. Reach him at chazwt@gmail.com.